Highlights By Haley: Kahiki Korean-Style BBQ Pork and Toasted Sesame Chicken Yum Yum Stix Review! Kahiki Korean-Style BBQ Pork and Toasted Sesame Chicken Yum Yum Stix Review! 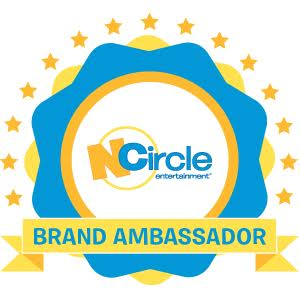 I am so excited to be a part of the Kahiki Ambassador program this year. 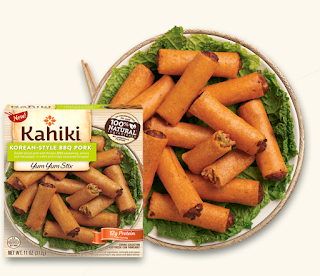 Kahiki is one of our favorite brands; I love Asian foods and Kahiki makes the best. 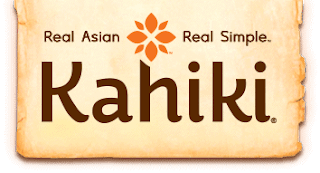 The wonderful thing is Kahiki is restaurant quality Asian food you can fix right at home. With three kids going out doesn't happen as often as it used to with each baby it seems to get harder and harder. Kahiki is the perfect solution! 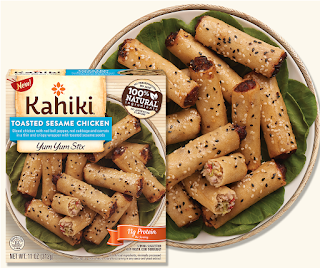 We recently got the chance to try 2 varieties of Kahiki's new Yum Yum Stix. We chose the Korean-Style BBQ Pork Yum Yum Stix and the Toasted Sesame Chicken Yum Yum Stix. Korean-Style BBQ Pork Yum Yum Stix include tender diced pork with Korean BBQ seasonings, onions and red pepper in a thin and crispy seasoned wrapper. 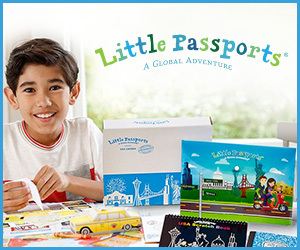 Chris my husband and Christian my 7 year old loved these we actually had to go buy another 2 boxes the next day! I thought they were pretty good to they had an excellent BBQ flavor. Toasted Sesame Chicken Yum Yum Stix include diced chicken with Thai basil, cabbage and carrots in a thin and crispy herb wrapper. I liked these best but I am partial to chicken. I loved the wrapper it is so crispy and tasty! Make sure to join the Kahiki Stir It Up Club just click here! When you join the Stir It Up Club, you'll receive a $1 off coupon to try any delicious Kahiki appetizer, entrée or snack, a FREE monthly issue of In The Wok and a copy of our Asian Dinner Party Planner to help you celebrate the Chinese New Year! The food at this venue was excellent, as was the service, many of our friends and family still rave about it. My wife and I highly recommend these Chicago venues. We came here again for dinner and everything was again good and the service was extremely fast.